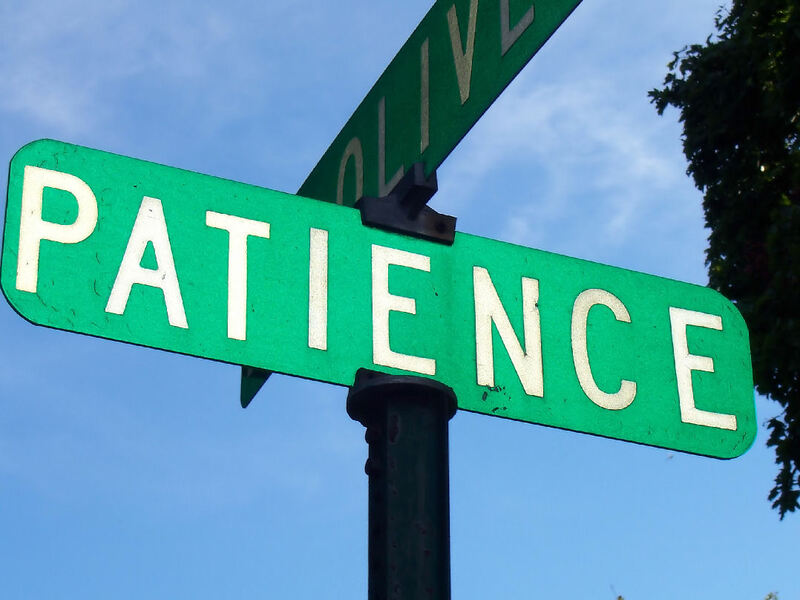 Patience in Islam is not only a virtue, its something we should actively cultivate. While it is not easy to be patient, just realize that nothing good comes from being impatient. If you are late for work, bemoaning all the traffic lights turning red will not change the fact that you are late. It took me a long time to realize that while I could not change my circumstances, I had the ability to change my reaction to those circumstances. Even with that knowledge, I know I am still not perfect. Sabr is not just enduring what befalls you quietly. It is a delayed gratification. If you can delay your instinct for instant gratification, Allah (swt) will reward you if not in this life, then the hereafter. I recently moved to a suburban area and we only had one car. So instead of my commute being 6 minutes, it was a whopping 60 minutes with public transportation. While taking that, I would sit and think how unfair it was that my contemporaries all had cars and I was needlessly suffering. However, I had to remind myself that I made a choice not to purchase a brand new car because of ribah (interest which is forbidden in Islam) and I needed to have sabr to save for a used car. I carried this internal dialogue for 1 year. But Alh, Allah (swt) is merciful and instead of having to wait any longer, my mother in law bought a car for our family. Do you see how Allah (swt) tests you even if you have a good intention to obey him? Trials bring you closer to God while punishments push you away from God. I felt guilty for even entertaining such “woe is me” thoughts. We can never be grateful enough to God for our blessings. Even with our trials, it’s nothing compared to others. What about our sisters and brothers in war torn countries? Or in poverty? Or worried about feeding their children? So true! Having Sabr is one of the qualities of the pious and I def find it one of the hardest characteristics to embody. It is so much easier to react negatively to a situation that’s unpleasant , rather than wait to see what Allah (swt) has in store for us.